Only 5 short months ago did we shout “Happy New Year!” with plans to live 2015 well. Now, we’re almost half way into this year that still feels new to me. Do you like how you lived your first half? How do you want to end the second? In the quiet, secret place of just me and the Holy Spirit (and my journal) I’ve asked myself these questions coming up to this half way mark and penciled down my thoughts. Because this year feels as if it’s pregnant with such purpose. It’s like it’s pulsing. And I have to pay close attention because I don’t want to miss a thing. 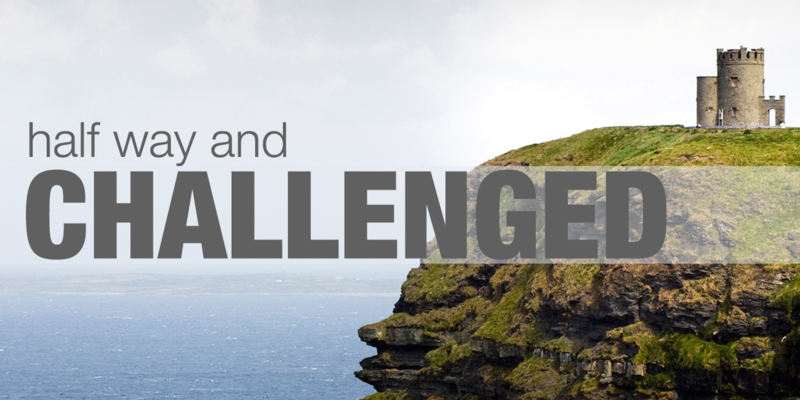 If I can wrap up the first 5 months of life in 2015 into one word it’d be: challenged. Throughout life I have been blessed with a number of people who’ve challenged, pushed, and encouraged me. Living in a new country, belonging to a new church and carving out new relationships is opening up new opportunities to be challenged and changed. This is all good and right and as cliche as it is, I wouldn’t be who I am without the push and prod and love of a number of precious individuals. But this year I’m challenged by something even more steadfast than these dear relationships. I’m so challenged by the Word. Ever have an “Ouch” moment when you read the Bible? This year has been a bit more than just an “Ouch” moment. I have consistently read the Bible for years now, ebbing and flowing with my dedication to a particular schedule. (Everyone needs to figure out what works for them. My suggestion? No matter what it looks like, Just get the Word into you. The end.) In some seasons of life it’s as if life is bursting out of certain scriptures and my heart is going to explode. I remember one night a few years ago, I wept for what seemed like hours over one single verse that the Holy Spirit brought to my attention in the perfect moment. Be a rest once more, O my soul, for the Lord has been good to you. Then there were dark seasons. I would read and feel nothing. Dull. Dry. And of course the in between seasons where I just simply read because I know that what I do today, I will live in the fruit of tomorrow. This year, once again, has been a bit different. The Word is alive so I want it to be alive in me. It’s active so I want it to be active in me. It penetrates so I want it to penetrate me. It judges so I want it to judge me. So, would you like to know what verses have been messing me up so much (and causing me great pain? 😉 )? But whatever was to my profit I now consider loss for the sake of Christ. What is more, I consider everything a loss compared to the surpassing greatness of knowing Christ Jesus my Lord, for whose sake I lost all things. I consider them rubbish, that I may gain Christ and be found in him, not having a righteousness of my own that comes from the law, but that which is through faith in Christ—the righteousness that comes from God by faith. I want to know Christ and the power of his resurrection and participation in his sufferings, becoming like him in his death,and so, somehow, attaining to the resurrection from the dead. I. consider. everything. a. loss. of knowing Jesus Christ my Lord. On my way to work, while I’m cooking, off doing regular daily activities, these verses are – in every good way possible – haunting me. They’ve gotten into my mind and now have my heart. I want to live them. Where have you met Him in the Word this year? How are you being challenged? What verse has gripped you this year? What do you want for the next half of 2015? Here’s to living the next half of 2015 with moldable hearts, allowing God’s Word to penetrate, challenge, and change us, and pressing on toward the goal of accomplishing all that God has planned for us – all that would please Him – and ultimately toward the prize and precious treasure of seeing Him face to face one day. I can’t wait. Thanks for reading, Leslie. 🙂 I so enjoy gleaning things from you when I’m around you! Brittany, Your words carry an impact because they come from the Spirit in you, His place of Truth. I have observed over time that you are a young woman who desires to walk in His Truth no matter what the cost. You may find the cost high at times, other times, doable. Yes, I can also claim the word “CHALLENGED” for this 2015 year. He is challenging me because He has begun what He said would be a “REARRANGING” in my life, this to greatly challenge the status quo. Sometimes the status quo has to go, while the rearranging begins to clarify, purge and sweep clean in ways January 1, 2015 could not have spoken to. You call us to live 2015 with mouldable hearts allowing Him, through His Word, to penetrate, challenge and change us. And, yes, if I may add, permission to rearrange our lives if necessary, embracing the rearranging with a YES of obedience keeping our eyes on Him and all that He has planned for us. Thanks for being a faithful reader, Helen! I’m so glad this rang true for you. I think we’ll look back at this year and say “WHOA, that was good!” even though at some points it doesn’t “feel” so good!